Cozy Cove is a private, away from the crowds, family owned and operated resort with only 16 cottages. Located on 15 acres with over 1,500 feet of shoreline, the atmosphere is quiet and secluded yet restaurants, golf courses, tennis, horseback riding and all the area’s attractions are within a short drive. 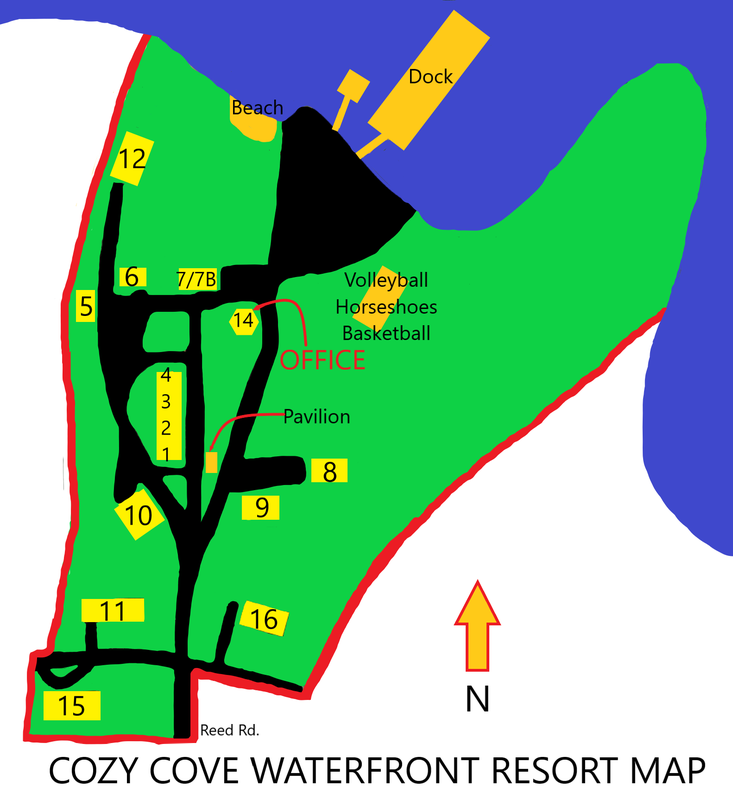 Clean, comfortable accommodations, and personalized friendly service is guaranteed at Cozy Cove. Our facilities are exclusive to our guests. Cottages sleep 2-18… from a cozy couples efficiency to spacious five bedroom log cabins. Nicely spaced and nestled among the shade trees the cottages are completely furnished and equipped.